Providertech solutions talk with your patients in the ways they’re already communicating using voice, text, and email. Engaging patients before, during, and after care is critical to achieving and maintaining health. But requiring patients to download an app or visit a portal sets you up for low response rates. Instead, Proviertech uses text (and other common communication channels)—just like your patients do. Text reminders are much more cost-effective than direct mailings or other time-consuming ways outdated practices are communicating with patients. Our flat fee covers unlimited text, voice, and email communications so you don’t have to worry about a fee for each “send”. And, Providertech’s dashboard gives you insight into when reminders are sent so you can monitor and follow-up with delinquent patients. As a Providertech client, we help you manage your office more efficiently by giving you complete control over the communication protocols that fit your business. Need to cancel a pending message or send an ad hoc message? Want to modify the voice files? From our self-service portal, you can configure the rules and processes that work best for you and your patients. Through the self-service portal, you can customize your patient text reminder message, send date, response options, and other message details. 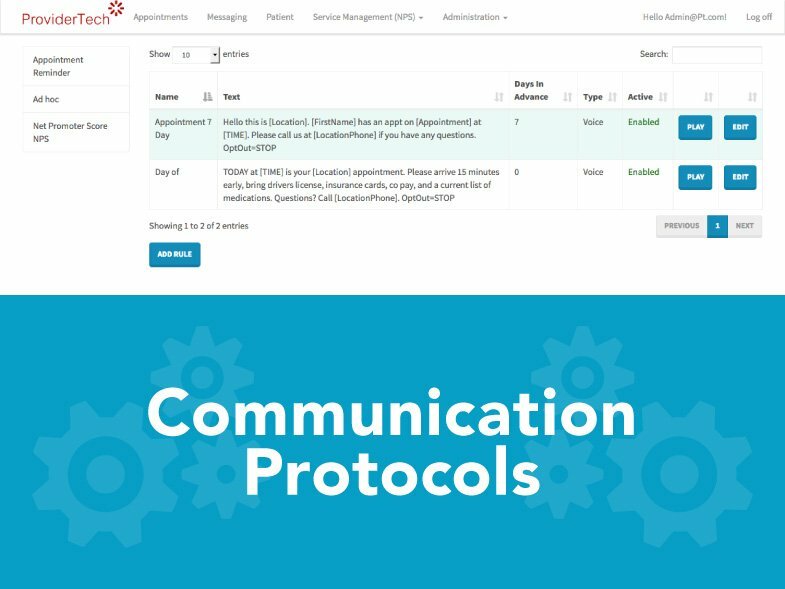 To further automate this process, you can set message preferences by appointment type, physician, patient language, insurance class, morbidity, visit status, and other custom options. Whatever your needs, Providertech has the flexibility to meet your practice’s requirements. As a healthcare solution, Providertech takes safeguarding identifiable health information seriously. Our messaging solutions are fully compliant with the Health Insurance Portability and Accountability Act of 1996 (HIPAA), as well as the Telephone Consumer Protection Act of 1991 (TCPA). 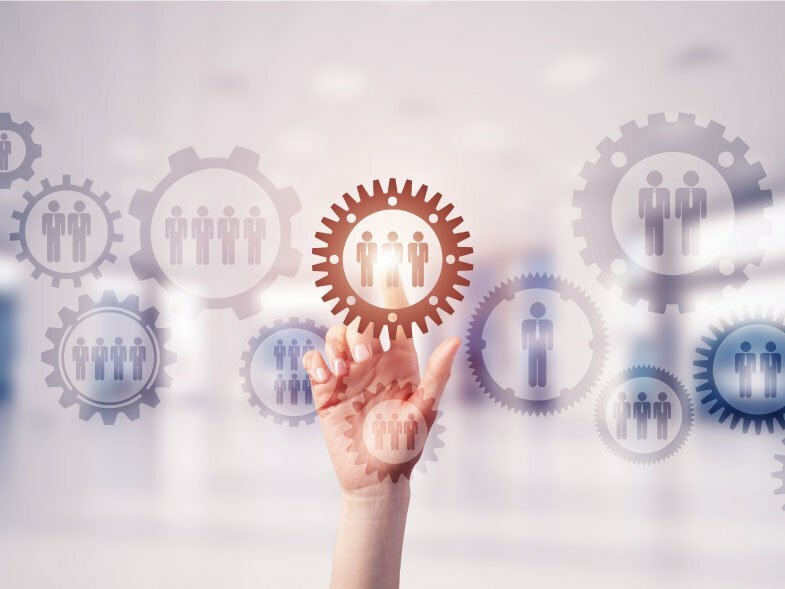 Providertech is willing to enter into a Business Associate Agreement (BAA) with any client wanting to implement our solutions. Our professional staff has decades of experience in successful integrations, enabling us to integrate with any EMR. When you work with us, Providertech’s experienced integration team extracts the necessary data elements from your existing EMR system. 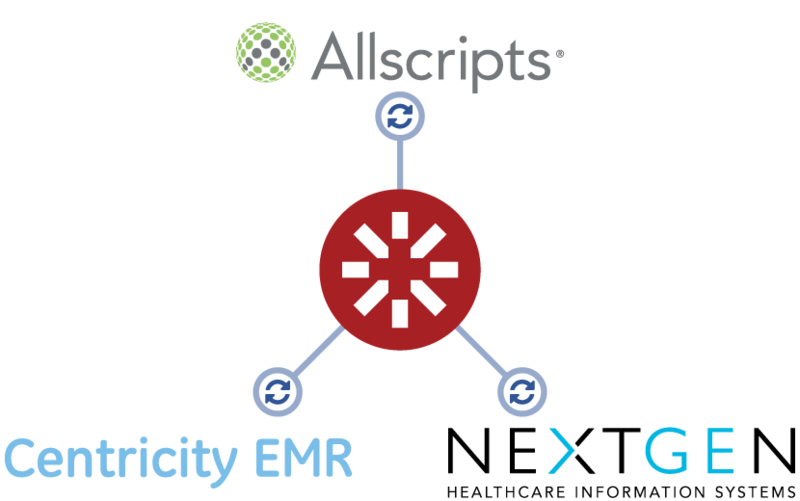 Our two-way integration means you never have to re-enter patient data, and patient responses can be viewed directly in your practice management system.